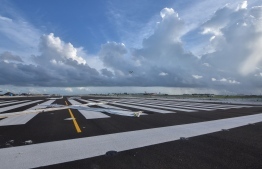 Maldives Airports Company Limited (MACL)'s Managing Director Adil Moosa declared that the new runway built in Velana International Airport (VIA) meets international standards beyond a shadow of doubt. The new runway is to be unveiled after major projects on September 18. It has been revealed that an A380 will be landed for the first time in Maldives on this runway. The opposition has voiced criticism over the announcement, stating that an A380 landing would be in violation of the international aviation regulations. Lawyers and former Attorney General Husnu Al Suood tweeted that, "Etihad Airways is taking a huge safety risk by allowing an A380 to land in violation of international air law regulations, simply to make (President) Yamin look good". Speaking to the press, Adil refuted the opposition's statement, declaring that the project is being carried out under a comprehensive plan, under the guidance of consultants from Surbana International, a well-known consultancy firm from Singapore. Stressing on Surbana International's credibility, Adil said that the company is also the consultant for Singapore's Changi Airport. He added that the quality and standard of all the airport projects are guaranteed. Addressing rumours suggesting that the runway is not yet ready for a test flight landing, Adil revealed that MACL has now completed all the assessments required prior to conducting test flights. Furthermore, he stated that if necessary, MACL is ready to investigate and take action against those responsible for spreading such rumours, adding that the company is confident it will be compensated for the defamation faced. President Abdulla Yameen Abdul Gayoom has vowed to land the world's "biggest flight" prior to the Presidential Election slated to be held on the 23rd of September.